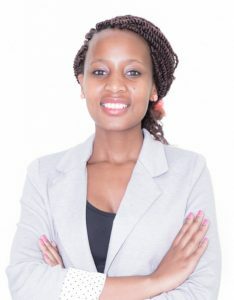 Madichaba Phuti Chelopo is a 27 year old scientist who was born in a township in Polokwane in the Limpopo province. Chelopo is currently a PhD Student at North West University (NWU), majoring in Pharmaceutical Chemistry and hosted by the CSIR. She obtained a BSc degree in Biochemistry and Chemistry in 2008, BSc Honours degree in Chemistry in 2009 and MSc degree in Pharmaceutical Chemistry in 2012 at the University of Kwazulu Natal (UKZN). Chelopo focuses on the use of nanomedicine for drug delivery purposes. She explained more about herself and her line of study within the nanomedicine field. How did you end up in nanotechnology? I always had enormous interest in working towards the medicinal or pharmaceutical chemistry fields. This was stirred by my basic degree in chemistry and biochemistry. After my MSc I wanted to learn something new. I was called for an interview at the CSIR for a PhD studentship position that I had applied for. I did not know anything about nanotechnology or nanomedicine, which was the focus of the project and I thought I wouldn’t make it. I also came across literature on nanomedicine which I found very interesting. Because I didn’t know the CSIR interview outcome, I visited research groups from a few institutions interested in medicinal chemistry and particularly in nanomedicine to learn more of what they do practically. However, to my surprise, I was called and told I had made the interview and that is how I ended up in nanotechnology or nanomedicine. I focus on the use of nanomedicine for drug delivery purposes. Nanomedicine is the application of nanotechnology to make devices or systems for medical application at the scale of nanometre (1 to 100 nm). It involves the delivery of drugs, targeting and diagnostic agents using nano devices or systems. What exactly do you deal with in your area of focus and how does it work? My project involves the design of a drug delivery system that will potentially help improve the tuberculosis (TB) therapy by transporting anti-TB drugs more efficiently. Through the use of nanomedicine, I encapsulate these anti-TB drugs within a polymer-lipid system and evaluate the capability of this system of delivery by doing a number of experiments in vitro (using cell models) and in vivo (using animal models). Do you believe nanotechnology has the potential to change the world? Yes, most definitely. With more education and research, nanoscience will result in the improvement of our everyday lives. How can nanomedicine positively influence health and general wellbeing in the near future? Nanomedicine can positively influence our health by enormously reducing the cost of medicines and reducing the dosage of drugs given to patients, thereby preventing uncomfortable side effects that occur as a result of taking a large dosage of a certain drug. Nanomedicine has already made a positive influence in cancer chemotherapy, by effectively delivering and improving the properties of the drugs when given to patients. One famous example is Doxil, the 1st FDA approved nano-drug, which was found to stabilise and prolong the circulation of the drug. This technology can be used to improve the medicine that is currently used to treat infectious diseases that mostly affect the most African countries. For example, TB was named the number one cause of death from infectious diseases in South Africa and it is recorded that more than 70% of HIV patients die due to the co-infection with TB. The current treatment for TB has been approved and can potentially eradicate the disease if taken daily for a period of up to six months. However, there is poor patient compliance due to the long duration of this therapy, as well as the development of side effects (toxicity), leading to numerous challenges in the treatment of TB. The solution that nanomedicine offers is to contain these approved anti-TB drugs inside certain nanoparticles that can ensure that the drugs remain in the patient’s system for a longer duration. This can then ultimately ensure the patient would not need to take the drugs daily, but maybe instead once a week for two months as opposed to once daily for six months. Nanotechnology already plays a part in our day to day living; there are wrinkle-free clothes, scratch-free sunglasses made of nanomaterials, nano–devices in our computer hard drives and even cleaning products. We have seen the reductions in the sizes of many previous technologies like the phone and there are many more technologies we use in our everyday lives that are constantly being improved through nanotechnology. If we asked you to describe nanomedicine in one sentence what would you say? I would say the use of very small (nano) materials to diagnose, manage and treat diseases. In your view what hinders more women from getting into STEM related careers? My view is that, there aren’t as many opportunities given to women in STEM fields. Research has shown that there is a general bias against women. Some people believe women can’t excel in STEM fields. It is a stereotype that needs to be dealt with, because in my experience at school I never felt that there was any difference in the academic capabilities between girls and boys. It really felt like we were equal. According to an article I read some time back (from The Huffington Post), these negative stereotypes affect women’s interest in getting into science related areas. I think intellectual capability is generally equal amongst genders and it should be represented as such in the work force.